Last year Slack had more than 50,000 paying teams, equaling 2 million paid users, according to Forbes. Those included employees from 43 percent of the top 100 U.S. companies by revenue. Integrating the messaging service will allow those workers to interact with Workday through a tool they already use. On its blog, Slack said users will be able to request and share time-off information and access co-worker details such as title, department and location. Soon-to-come features include user-configurable notifications and alerts, plus the ability for IT to assign team members to appropriate channels without user intervention. When you consider the preponderance of instant messaging that goes in today’s workplace, the Workday-Slack partnership is more logical than revolutionary. Last year, the research firm ReportLinker said 43 percent of workers used instant messaging as part of their job. Among the heaviest users are IT professionals, 71 percent of whom use some sort of messaging. So does 61 percent of the workforce of international firms. Although it’s not their preferred tool—only 8 percent of employees overall say messaging is their first choice when communicating with colleagues—we believe the use of IM services will only rise as more employees work remotely, more teams are spread across multiple locations and contingent workers continue to grow their role within the labor force. And, it’s worth noting, 58 percent of the workers whose companies have implemented an IM platform say they collaborate more effectively than they did before. Given all that, the idea of integrating messaging services is something that all vendors of core HCM systems should be thinking about. 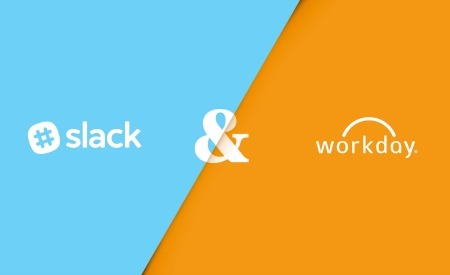 Workday’s application of Slack provides a good example of what Diginomica like to refer to as “headless applications,” tools that allow users to reach the functionality of one program without having to leave their context in another. But remember, Slack’s far from the only game in town. Microsoft’s Skype, Skype for Business and Facebook at Work are all making inroads into the business world. For its part, HR should be thinking hard about this for a simple reason: The idea of HCM tech tools deepening their presence in the collaborative work environment is inevitable. If a worker can message a teammate about the status of a specific project task, why can’t she request time off through the same tool? Changing apps to complete a simple task is one of those things that’s not disastrous but is annoying. For HR leaders who spend a lot of time thinking about engagement, here’s a simple way to make your employees’ lives easier. However, there’s mischief at work in the world of collaboration tools. As they consider how best to use messaging, HR and IT departments need to a few things in mind. First, especially within large organizations, multiple message systems are often at work. We’ve visited companies where some teams use Slack but others rely on Skype, Blue Jeans or Zoom. These aren’t exactly apples-to-apples comparisons, but it’s easy to envision a Workday customer imposing another messaging tool on Skype users. That multi-platform dynamic doesn’t only apply to messaging, however. Organizations are rife with different brands of project management tools, from Trello to Asana to Jira, with each department head picking the solution they like best. That’s fine when staffers are working strictly within one unit, but maddening if they’re part of a cross-functional working group that relies on an unfamiliar platform. Finally, there’s crossover between the features offered by many messaging applications and project management platforms. A file archived on Slack, for example, won’t be accessible through Asana. This can cause confusion among team members when they have to be sure they’re seeking the latest document versions or status reports. Often, they have to check multiple systems determine which document is the right one. Those sorts of things don’t directly impact HCM technology’s use of messaging, but they’re issues everyone involved in the equation should be aware of. Collaboration tools present HR with the opportunity to inject itself into the modern organization’s workflow through a frictionless, direct connection with employees. But for that connection to be truly effective, HR and IT must work together to ensure all employees can take advantage of the same capabilities, even if they’re using different platforms.